While using S5, and the Insert Superstar Mode, it opens SS fine and I can sequence away. I am warming up to sequencing SS this way, but I have a concern and wondered if it going to be addressed with updates to S5. Before S5, when I sequenced only in SS, I saved very often in case of a crash (which were rare ) or I would save, if I liked what I had to that point, but wanted to experiment without losing what I had done so far. ie. color changes, timing, etc.. The current way S5 requires SS input doesn't allow for saves within SS. Is this something that can added? Today while sequencing a 30 second time period, I normally would have saved 20 or so times. A lot of times I don't have any idea what I am going to do in SS, I just start and play around with effects, timimgs and colors until I get what I like. This involves a lot modifications to effects while I am in the middle of the process, saving often helped. I always had a point in the sequence I could go back to if things went awry. You should be able to do this already in the most recent beta of S5. The Save option is still available and you can save or open repeatedly and it gets saved as normal .sup files. Note that the sequence only gets saved to the S5 Sequencer when you shut down superstar and go back to the S5 Sequencer. I just tried what you suggested and while it did work it took some doing to get there. While in the opened version of SS from S5 Sequencer if I try and "Save" I am presented with the following warning. If I try and "Save As" I am presented with this box. It defaults to the LORInternal directory and wants to save as an .xml file. If I change the extension to .sup and point it to the directory I want to save in, it does. If I do it a few times, I also have to be aware of the file name, it defaults to SuperStarRequest.xml for every file, every time. This means I have to make sure I change the filename each time for each different prop. When I open a new version of SS (with going thru Sequencer) it fails to load because it doesn't have the proper .lee assigned to it. 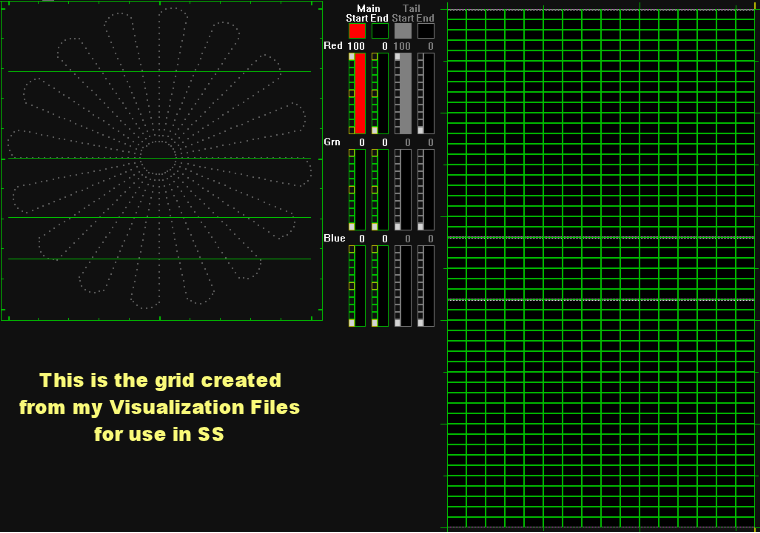 If I enter the viz files,that I use, then it shows up. However in the case of my Blade Spinner because S5 creates a totally different preview than my .lee files, the sequences are way off. That's seem like a lot to go thru, just for a saved file. If you want these .lee files and/or Prop files to look at, let me know. Indeed you are not supposed to have to go through all that. I just did "save as" and saved it as a .sup file. Please send an email to brian@superstarlights.com and I can arrange to remote into your computer. Thanks for the conversation tonight. 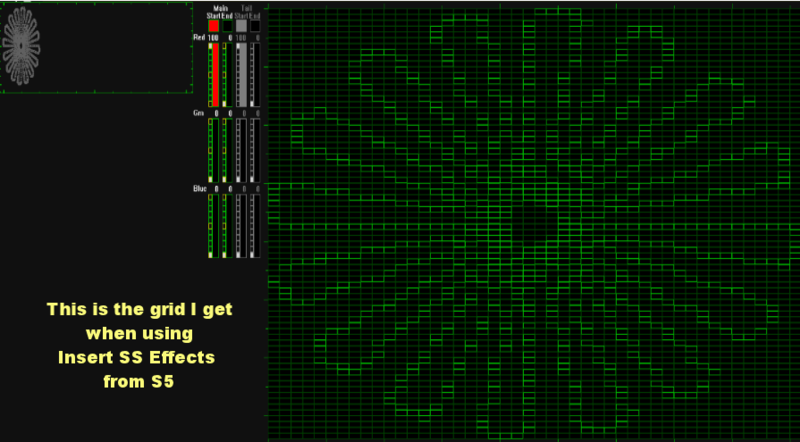 I tried some of the things we talked about and importing an entire .sup file works great! I had not thought of doing it this way, I'm glad you mentioned it. I made a quick tutorial to show others. I did some testing and looked at the code. 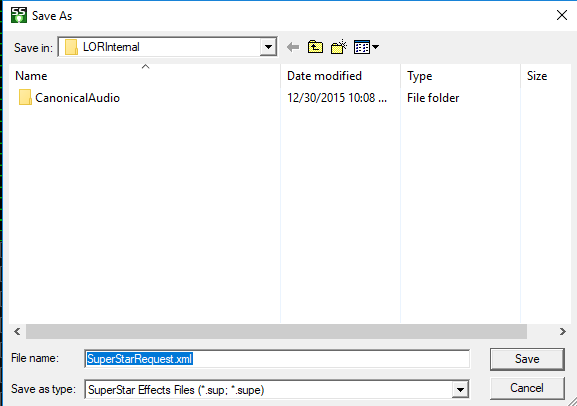 The problems I had is that when doing "Save As" in SuperStar after being launched because of an "insert superstar effects" in S5 sequencer, the default name and path were bad. I am working on fixing that. Thanks Brian! That would be great.